Friday Fives: Five Khoobsurat Promo looks by Sonam we loved! Even before the actual release of her movie Khoobsurat, Sonam Kapoor managed to entertain and impress her fans with the lovely outfits she donned for the film's promotions. I follow her on instagram( @Sonamakapoor ) and trust me for a constant month my Instafeed was flooded with the sea of colourful, adorable outfits she wore! Here's a sneak peak into the top five looks we loved among the plethora of outfits donned by Sonam for #KhoobPromotions ! Starting from our most favourite look, Sonam Kapoor stole hearts donning this gorgeous pink bandhani outfit by Anita Dongre. The Statement Sunita Kapoor Jhumkis were a steel and so were the Jimmy Choo sandals which are not shown it the above pics. Everything from the makeup to the hair was perfect! This was what she wore at the trailer launch. It's a white-black silk dress with skull prints by Australian designer Toni Maticevski's. 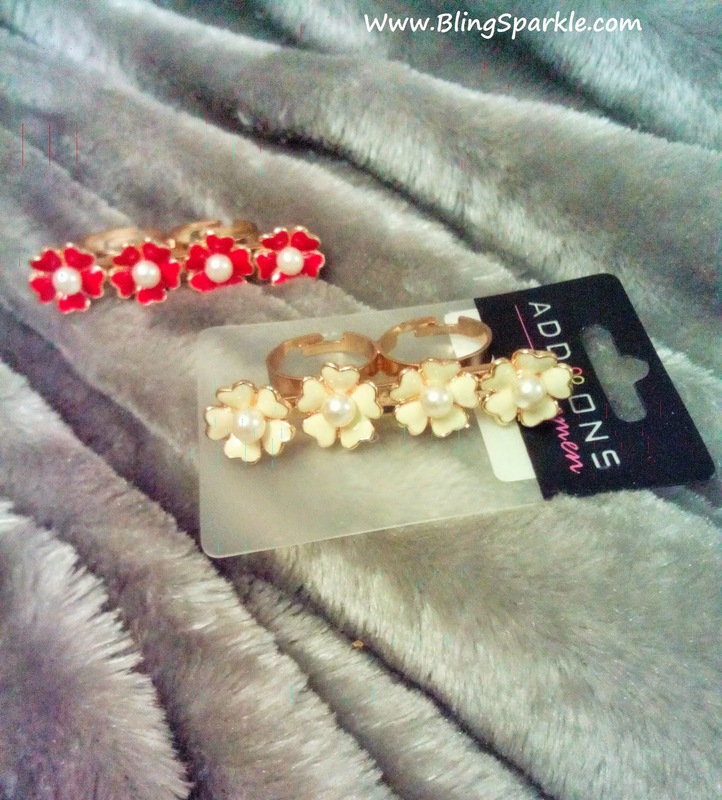 The mis-match earrings were a perfect steal! She donned the above look for the music launch of Khoobsurat. The Black-white floral skirt totally rocked the red carpet! Love how Sonam experiments with her hair! This was a pretty "The girl next door" look which spoke volumes about Sonam's age. The funky glasses were cool for a change! What's your favourite? Do share! It is normally believed that the customers purchasing wholesale fashion jewellery are either having their own business or are in reselling of jewellery. Many wholesalers insist on purchase of minimum quantity of the jewellery for giving it at wholesale rates. If you are not into this business but yet want to buy wholesale jewellery to take advantage of low rates, find an online seller who sells at low rates and does not insist on minimum purchase of jewellery. POCKET-FRIENDLY: People have now realized that purchasing wholesale fashion jewellery is advantageous if you plan to procure jewellery for gifting purpose and normal wear. It has now become a trend to buy wholesale fashion jewellery because it is within reach of everyone being low priced. 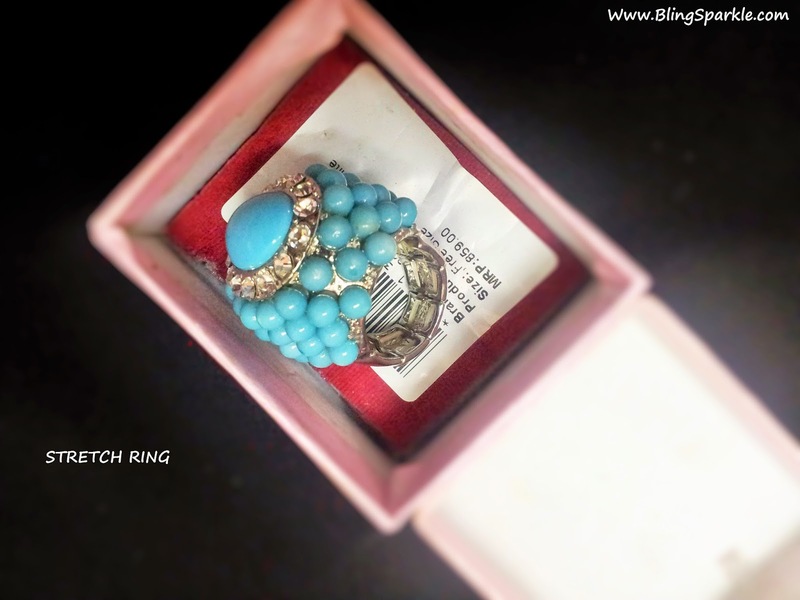 They do give a look of expensive jewellery but are affordable if you use Jabong coupon codes. Due to this reason the sale of this jewellery has increased substantially. GREAT DISCOUNTS: Bracelets, necklace or earrings should be purchased from online wholesale stores for getting these at very cheap rates because of great discounts. Manufacturers make many pieces of this jewellery at the same time and these are sold at extremely low rates. These jewellery pieces will suit you for casual or informal wear. You can browse through different types of jewellery items available at wholesale online stores and select items which suit you the most at very reasonable price using Ebay discount coupons. You cannot even imagine getting these items at such low rates from regular stores. GIFTING: Jewellery may also be purchased for gifting purposes for special occasions such as wedding anniversaries, birthdays or mother’s day. Religious and western jewellery are also quite popular. Link pendants having engraving and cross pendants are preferred by youngsters. Imitation stones and glass jewels are very attractive and inexpensive. You can also by acrylic or plastic jewellery available in funky colours and beautiful designs that are very popular with young colours at wholesale rates which are unbelievably low. These can be purchased in bulk and used with various apparels and accessories. VARIETY IN MATERIAL: Before you buy wholesale fashion jewellery, it needs to be ensured that material used iS not allergic to your skin. People normally want to purchase bone or shell jewellery being quite fashionable and comparatively cheap. Brass and aluminium jewellery is also in reasonable demand. Organic bracelets and necklaces of hemp, leather and macramé are also getting popular across the world because they look chic. Different patterns of hemp and macramé bracelets are also being used as friendship bracelets. These can be bought in bulk to save cost by using coupons from CouponDekho.in. Wholesale fashion jewellery has seen many changes during last few years and also the customers who buy from wholesalers. Customers have now started buying wholesale fashion jewellery for their personal use online as there are no restrictions on quantity to be bought by you. People no longer buy this jewellery from the traditional stores because wholesalers offer cheaper rates and varieties. 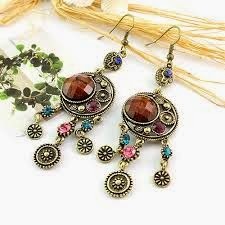 Get fresh collection of wholesale fashion jewellery and create new look for yourself on moving out. Anarkali Lehenga : The anarkali lehengas are similar to flowy anarkalis but come with a lehenga underneath to add more layers. This has been in trend for quite sometime now and I infact wore one of this on my sisters marriage. Similar to a Jacket lehenga the lehenga anarkalis may have slits to show contrasting colour of lehenga underneath so I suggest you choose colours wisely or just choose in net without slit for a sheer midriff . These are very easy to find , enter shops like Meena Bazaar and you are done. Saree Gowns: If managing saree is a hard thing for you saree gowns come to your rescue. Saree gown is an indo western option where the pleats of a saree are stitched in a gown . Very Fashion Forward and hassle free too. Sonam Kapoor wears these gown sarees well and when she wore it to cannes this year I turned a fan. Crop top Lehenga: I have already blogged about my crush on Ridhi Mehra creations and her crop tops are a top favorite. Pair a crop top similar to Ridhis creation with a simple lehenga for effortless chic look. This is very inexpensive way to make a stylish ethnic appearance since the lehenga can be made out of plain net and use some plain or printed cloth to get yourself a crop top stitched. On the flip side you need a flat belly to carry this off, if you have one go show off! Indo-western Fusion gown with slit: Remember what deepika wore to Comedy nights with kapil for ramleela promotions (see Here)? Well you could wear something similar to that and stand out at a wedding. A gown similar to an anarkali with an embellished but and a high slit paired with tights or chudidaar. Fuss free look as you can skip the dupatta here! Plazzos or Sharara Pants: Pair a pair of plazzos with a kurta and you are good to go. This is more of a pakistani silhouette but is soon catching up in india too. Colour block your kurta and plazzos, a shorter kurta or an extra long kurta coupled with rich fabrics like silk and jamawar will make the outfit stand out. Masaba/ Digital prints saree : If you are a saree person then try masaba kind quirky prints. The prints are fresh and different making you stand out. Since these sarees arent embellished you can pair them with statement jewelry and embellished clutches. Masaba sarees are easy to find online and they are loads of copies doing round sin local markets too. Go get one and Stand Out. Which outfit ideas excites you? still next time , keep it stylish! Trendy and bold statement rings are often one of the popular choices when it comes to accessories. Offbeat rings have been getting a lot of attention lately. Fashionistas & celebrities seemed to find its function for more than just to show off their engagement or marriage status. In the past few years, I have seen a lot of jewelry trends transition from big and bold statement pieces to small, dainty, and detail-oriented pieces. And I 'm loving both the big and the dainty ones! Over the years, women successfully have turned this simple accessory into a fashionable statement accessory. Jewelry and accessory designers have given them the satisfaction by creating and innovating unique designs and going beyond the ordinary. This fashion bug has caught up on us and here are few rings we bought from the latest ring trends ! It's time to put away your stack of boring & ordinary rings and start stacking up embellished silver and gold rings are perhaps the most of-the-moment adornment we can think of ! Styled with sparkling stones, this chunky silver ring will add instant glamour to your everyday looks. Grab it today from Limeroad for at a discounted price or you could buy it from flipkart here ! 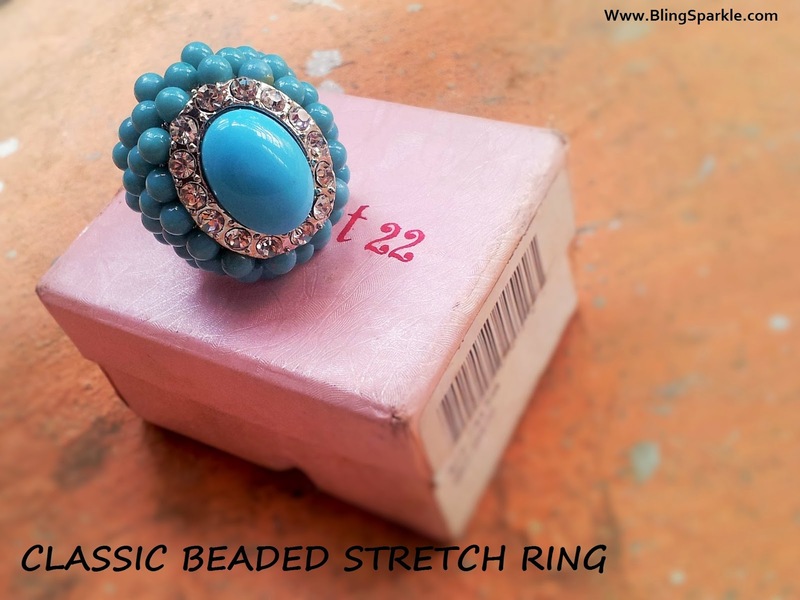 Stretch rings are made of elastic that literally stretches when worn and can fit any finger, which makes it quite unique and versatile. They are usually held together by an elastic thread and a number of double eye links, you can find animal and floral designs on most of them. But they just don’t end like that. 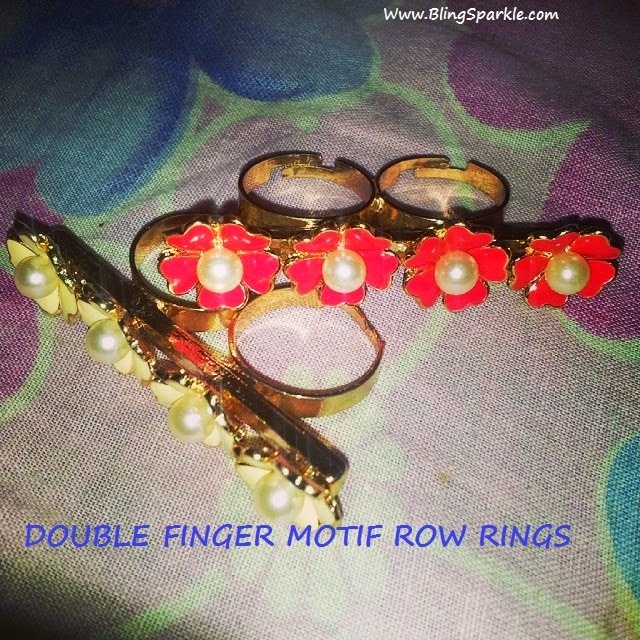 Double finger rings are a super duper Hot fashion Accessory Trend! If you are blessed with a bold personality, or you want to get cool cheeky look, you can cleverly carry of this trend. Yes.. For SURE. It’s time to get obsessed with 2 Finger rings. Wear two Finger Rings with your casual outfit and make it a out of the box look ! Pearls, floral and animal designed two finger rings are most happening these days. Apart from that you can get it in silver, gold and platinum too. If you want to match it with your attire, get custom made diamond double finger rings ! We are totally smitten by this trend and look forward to stack more of such fashionable statement rings !Are you a fan of it or not? Join The Flash Facebook Giveaway Open only for today . Sonam Kapoor is a busy woman these days promoting her upcoming movie Khoobsurat with Fawad Khan. Most of her recent appearances have been very in character and high on prints but for her Appearance on Jhalak Dikhlaja Sonam Kapoor chose a pink Anita Dongre creation. This Apperance was a very refreshing change from the printed outfits Sonam sported on this promo Tour. It is not like I don’t like her recent appearances, but it is getting very repitative and and busy. The Vibrant Pink though very overwhelming looked great on Sonam and those beautiful jhumkis by sunita Kapoor enhanced the whole look. Her hair was tied back in a knot and she wore Jimmy Choos which were hardly seen thanks to that floor length lehenga. Iam drooling over the Bandhini print of this dress/gown or anarkali! No idea what I should call it. at Indian wedding infact even a bride can wear this off on her reception, but ofcourse this is Television we are talking about and nothing here is really Over the Top especially Jhalak Dikhla Ja where such exquisite Ethnic wear on display is an everyday occurrence.